2017 Season is in full swing at ARIEL! 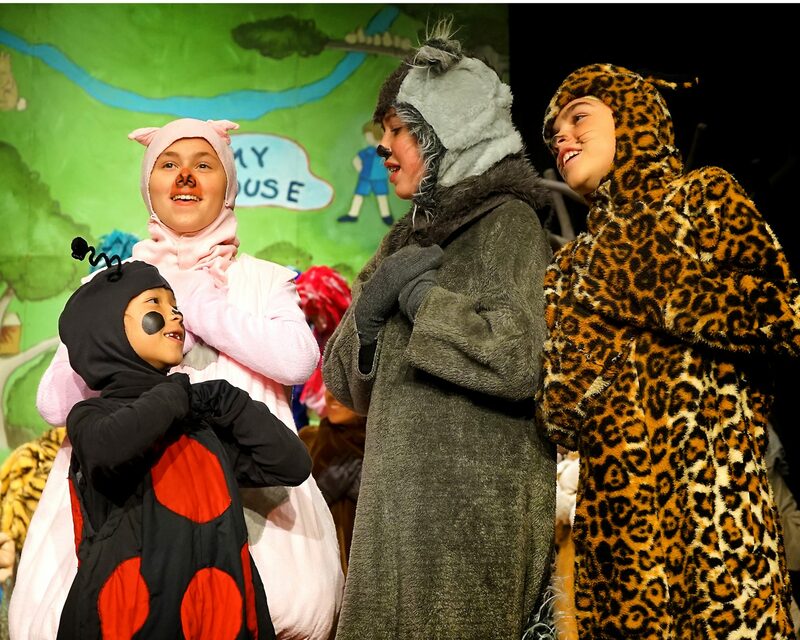 The Karen Wilson Children’s Theatre is in high gear with Chicken Little, Seussical™ and The Play’s the Thing. There’s singing, there’s dancing, and there are dozens of young people preparing to present exciting shows for the community while practicing Accountability, Respect, Integrity, Excellence and Leadership. If your child has not had a chance to share in the magic of ARIEL, don’t delay! Registration is now open for the ARIEL production of Charlotte’s Web (ages 6 to 18) and Early Bird Tuition is available through February 10. Other favorites are right around the corner, including Jack and the Beanstalk, Peter Pan Three Week Summer Camp, and DISNEY’S THE LION KING KIDS Two Week Summer Camp. Catch the acting bug and sing your way through 2017 at ARIEL.